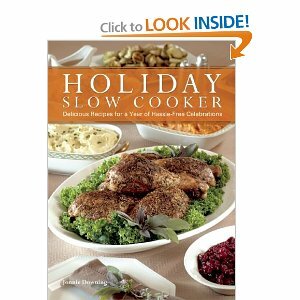 Sixteen holidays are covered in this cookbook and as expected the traditional holidays (New Years, Easter, Thanksgiving, and Christmas) are well covered. The holidays are overwhelmingly American in character with the inclusion of President's Day and the Fourth of July. However, lesser known holidays such as Cinco De Mayo and Mardi Gras are included. The slow cooker has risen and fallen in popularity since its hey-day of the 1970's. The slow cooker enjoys a resurgence during the holiday season because it remains an easy, stress-free way to cook during an otherwise hectic time. Over the winter months I enjoy making a huge batch of a warming winter drinks. While we do not host many holiday parties we enjoy causal Saturday afternoons filled with Hot Chocolate (page 24) or Apple Cider (page 98). The small print: This cookbook was received free of cost. I did not promise a review or receive any financial compensation.